NOMO SOHO wedding. NYC gay wedding. 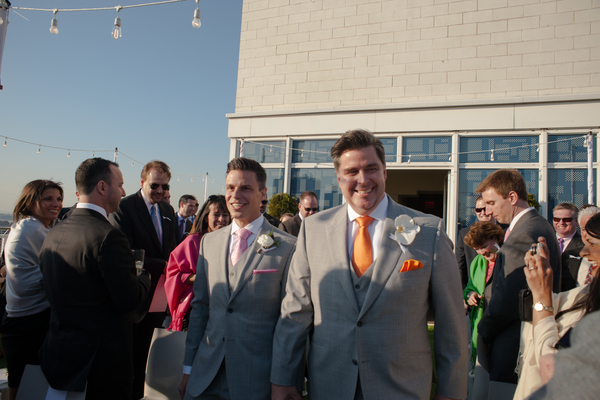 Marc and Joey love New York so much that they traveled from Kansas with about 50 guests for an amazing wedding in NYC. 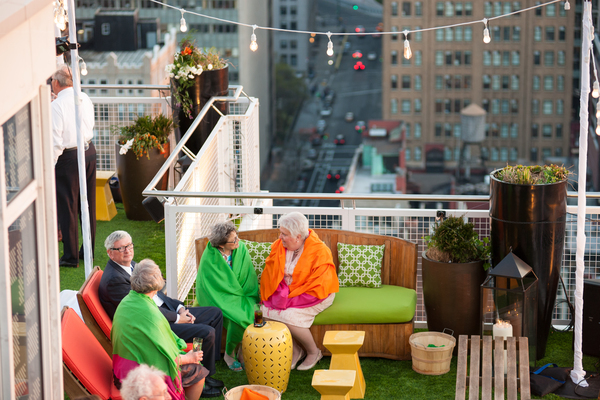 We searched for a venue not only with an incredible view, but a place that was polished and contemporary. The Mondrian Hotel in SoHo (now NOMO SOHO) was clearly the spot. We wanted a color palette that was masculine, yet fun. We used grey, green and white as our primary colors with accents of pink and orange to celebrate the spring season. Floral elements were a whimsical mix of succulents and seasonal flowers and greenery. After an amazing, very meaningful ceremony with a handfasting ritual, guests had cocktails under the stars, an amazing family style dinner in the Penthouse, and then dancing back under the stars. 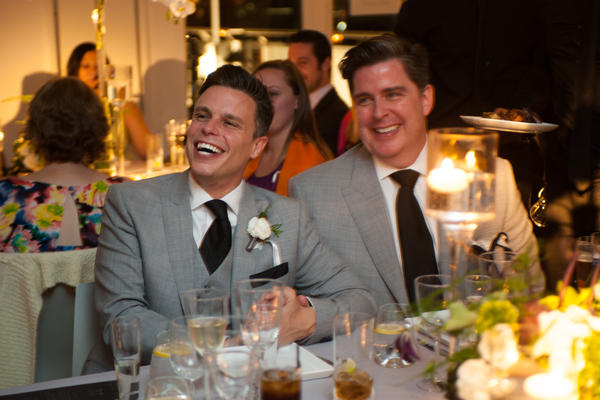 We received the sweetest note from Marc and Joey a few weeks after the wedding: "How can we even begin to thank you for helping us get to this all important day? From beginning to end, it has been nothing short of magic. Thank you for guiding us through the process, even when it seemed as if we were planning two different weddings. We've really enjoyed getting to know you and hope that we can keep in touch!" Enjoy the photos below from their spectacular wedding in New York City. Photos and Video by Kelly Guenther Studio. Copyright 14 Stories. All rights reserved. Site Policies. Contact us. 646.580.1270.